Told in two parts, Anton Chekhov’s "At Christmas Time" begins with an illiterate woman hiring a local man to write a letter wishing her daughter—from who she has heard nothing since her wedding and departure four years earlier—a merry Christmas. In the second part, the letter arrives for the daughter, whose life is not what she imagined it would be. While not a traditional story of Christmas cheer, Chekhov’s "At Christmas Time" has captivated audiences since its publication in 1900 and is recognized today as a Christmas classic. HarperPerennialClassics brings great works of literature to life in digital format, upholding the highest standards in ebook production and celebrating reading in all its forms. Look for more titles in the HarperPerennial Classics collection to build your digital library. 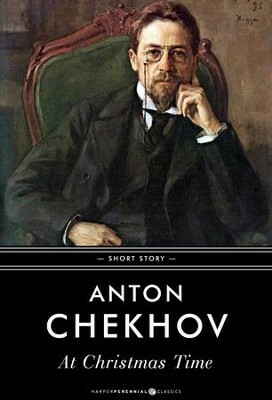 Anton Chekhov was born in Taganrog, in southern Russia, and in his youth paid for his own education and supported his entire family by writing short, satirical sketches of Russian life. Though he eventually became a physician and once considered medicine his principal career, he continued to gain popularity and praise as a writer for various Russian newspapers, eventually authoring more literary work and ultimately his most well-known plays, including Ivanov, The Seagull, and Uncle Vanya. He died of tuberculosis in 1904, and is regarded as one of the best short story writers in history, influencing such authors as Ernest Hemingway, Vladimir Nabokov, and Raymond Carver. I'm the author/artist and I want to review At Christmas Time - eBook.